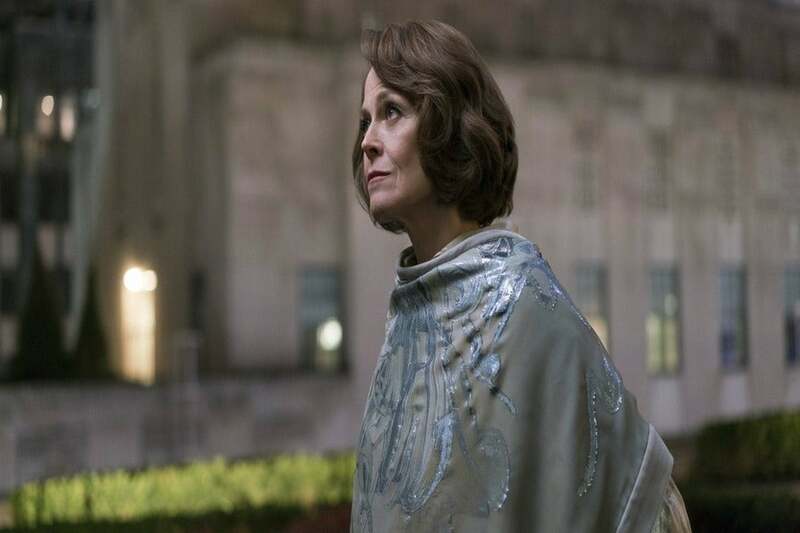 The Defenders: Who is Alexandra? 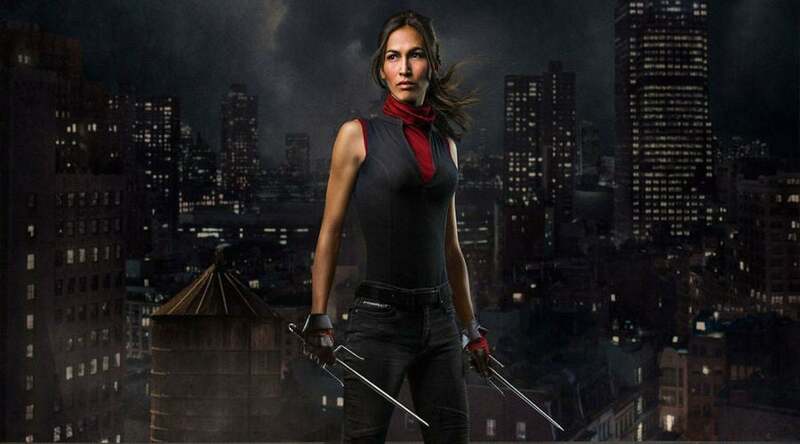 Details were kept close to the chest; we knew Elektra (Elodie Yung) would be involved in the crossover series, as would the Hand — the shadowy organization of ninjas that, quite literally, would not die. Speculation ran rampart: would Alexandra and the Hand be connected? Is Alexandra Elektra's mother? What, exactly, is Alexandra up to? Alexandra sees her actions in a positive light, despite the obvious problems she’s causing Hell’s Kitchen, which Weaver said had strong roots in the real world. "I don’t think businesspeople, especially on her scale, care about these niceties of things,” she said. "If it’s a fossil fuel company, they want to just keep going, regardless of all these people whimpering about the earth. So I based her on real people I know who think like that." Entertainment Weekly, in revealing the first official look at Weaver’s character, described Alexandra as having "no code name and no comic-book history.” Fans were curious: with so many comic book characters at Marvel’s disposal, why invent new ones? Now we know: Weaver and Alexandra being shrouded in hush-hush secrecy is because Alexandra does, indeed, have close ties to the Hand. During her time at K’un Lun (the mystical city that would come to be put into the care of Danny Rand, the Iron Fist), Alexandra and four others — Madame Gao (Wai Ching Ho), Bakuto (Ramon Rodriguez), Sowande (Babs Olusanmokun), and Murakami (Yutaka Takeuchi) — uncovered the mystery behind resurrection. The five defectors would later form the Five Fingers of the Hand, using their taboo knowledge to cheat death and cause mayhem (as seen in Iron Fist and two seasons of Daredevil). As revealed by Stick (Scott Glenn), Alexandra has "led [the Hand] since the beginning," and Alexandra, as it turns out, has been around for a good while: there are even documents from the early 1800s bearing her signature. And she's died — more than once. And by time of The Defenders, her doctor tells her she's sick, and the prognosis isn't good. Her illness will be her end, so it seems, and Alexandra seems awfully afraid... even though she's been there before. However Alexandra has kept her blood pumping all these years, it seems time is running out. A doctor's visit tells us that Alexandra is dying, seemingly from cancer. Alexandra has died before, but this time, she really doesn't want to go back to that "darkness." Enter Elektra — who died over in Daredevil season two — back amongst the living, courtesy of Alexandra. As Alexandra tells the resurrected Elektra, “You were born. You lived and died. And what you saw on the other side, the darkness, the absence of everything… it’s horrifying, isn’t it? I’ve seen it too, more than once. And all I want in this life is never to see it again." 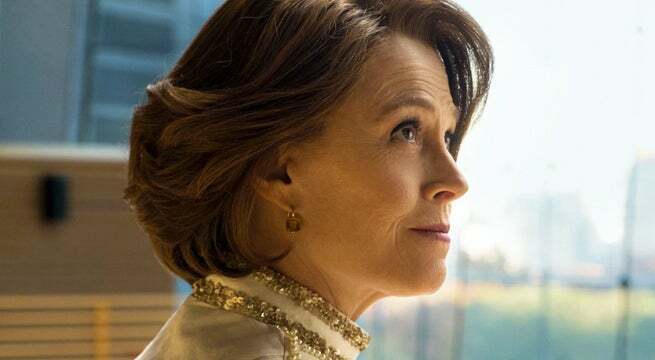 As it turns out, Alexandra isn't the real villain of The Defenders. 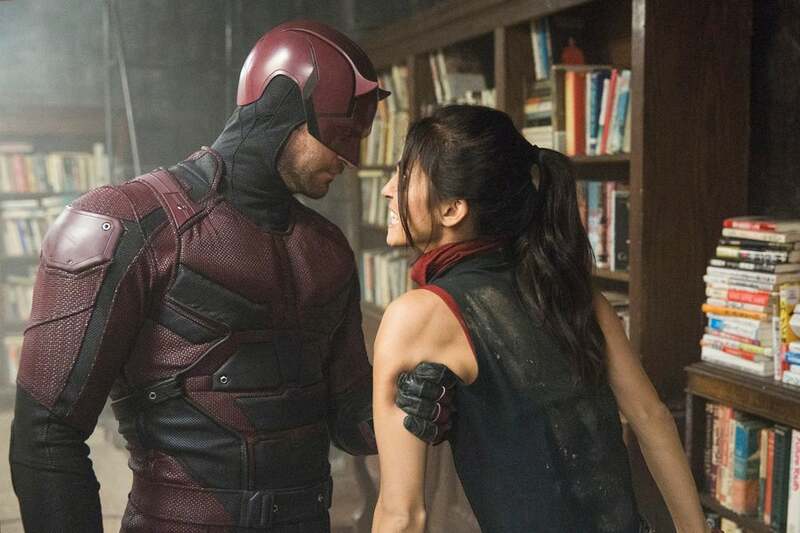 The Hand resurrected Elektra as the Black Sky after the events of Daredevil season 2, but she spent most of the series without the memories of her previous life. Trained to be the weapon of the Hand, she became a powerful assassin controlled by Alexandra. But her interactions with Matt Murdock gradually restored her memories. After Alexandra sends Elektra to retrieve Iron Fist so he could be used to break through a magic wall underneath their Midland Circle building, Elektra stabs Alexandra in the back and decapitates her in front of the other Hand leaders — seemingly finishing the renaissance woman off for good. Like, for real. So much blood. With Alexandra out of the way, Elektra takes control as leader of the villainous cabal, and threatens to end Alexandra's colleagues in the same vicious, bloody manner. The Five Fingers of the Hand — Alexandra, Madame Gao, Sowande, Murakami, and Bakuto — aimed to send an earthquake shock through New York and unleash the Black Sky, a code name for a (human) tool of the Hand. In the first season of Daredevil, the Black Sky was revealed to be a young Japanese boy, who was later assassinated by Stick. In The Defenders, it's revealed that Elektra was ressurrrected as another Black Sky, and she's a big part of the shadowy organization's plans for New York City. During a showdown at the Hand's headquarters, Midland Circle, a literal ticking clock is engaged as a bomb looks to wipe out the Hand for good. With less than ten minutes to clear the building and the resulting blast radius, Daredevil, Jessica, Luke, and Danny come together to combat the ninja army, only for Daredevil to stay behind — he's not yet through with Elektra, his former flame. Convinced there's still good in her, Daredevil confronts Elektra in an attempt to reclaim her from her brainwashing. Time runs out, however, when the bomb detonates as the doomed lovers embrace. Daredevil is thought dead, until the final moments of the miniseries reveals Matt Murdock to be alive, also setting up Daredevil season 3. So... who was Alexandra? A centuries-old, nearly immortal co-founder of the Hand, who met a violent end after resurrecting and manipulating ninja assassin Elektra. For now, it seems like Alexandra may be dead for good: the reaction to the diagnosis of her illness had us thinking the next time she died and returned to the darkness would be the last. But because this is the Hand, and because of her background in cheating death, we can't completely rule out the return of Sigourney Weaver's Alexandra — even if her death was a gruesome scene.